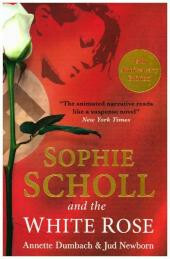 Produktinformationen "Sophie Scholl and the White Rose"
This is the gripping story of the 5 Munich university students who set up an underground resistance movement in World War II, featured in the award-winning Oscar-nominated film, Sophie Scholl - The Final Days. Republished in 2018 to commemorate the 75 years since their arrest & execution. Unser Kommentar zu "Sophie Scholl and the White Rose"